an endeavor to share my crafty & cooking adventures. We are at the beach for seven entire days! Yay! However, the first two days have been rainy, stormy weather. Stan and I decided to stock up on a few easy meals to have in the condo for when we might want to eat in. I know…eat in on vacay?!? But hey, it’s not a bad deal. We sit and look at the waves crashing against the dunes with the palms and pines blowing in the storm. The view is great and we stay nice and dry. 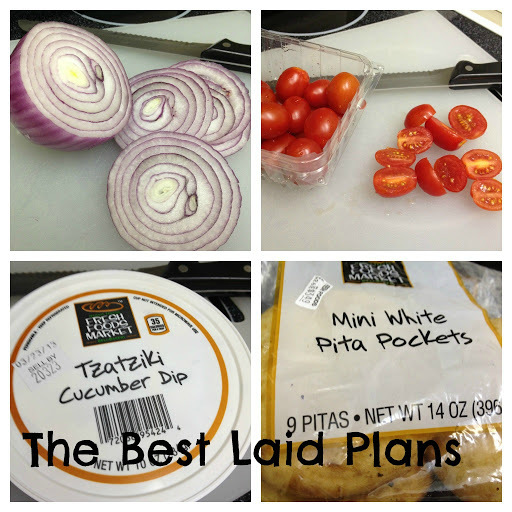 Now, I love me some Tzatziki sauce and yes, I know it can be easily made. But like I said…I am on VACAY! 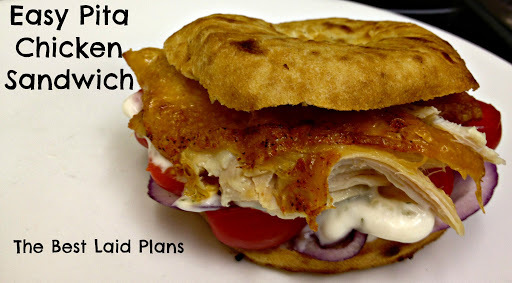 😉 So, we went to the local Harris Teeter and put together this quick and easy sandwich. We both loved it for dinner and will make it again at home. Rotisserie or baked chicken – the grocery had cut baked chicken and we decided to give that a try instead of the Rotisserie. We loved this option because each piece had a crispy texture. Directions: you can’t get much easier than this! I sliced the pita pockets and layered the onion, tomato, sauce and chicken. Pile as high as you want and enjoy a tasty sandwich.